So what do you do with a giant bowl of strawberries? 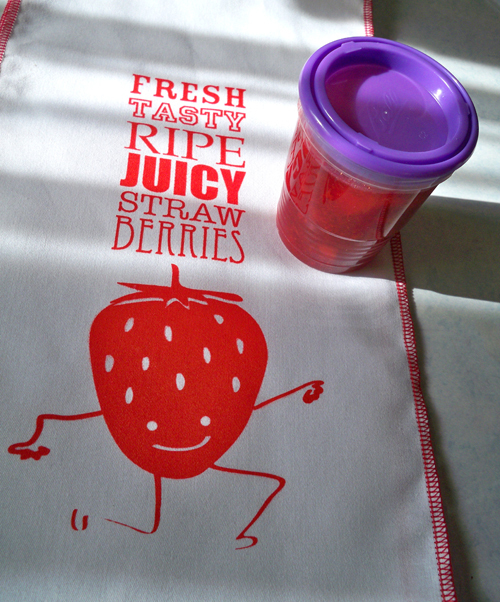 You make three batches of strawberry jam! Yeah so we were up making it around midnight - productive! I'm sorry if this is mentioned on a previous post, but what are those awesome jars? Yeah, I'm wondering, too... I've been too wimpy to do any preserve-making because of all the needed equipment (the tops, the rubber rings, etc... and, okay, the process). But are the plastic tops something new? Beth & Cat, I believe they are the freezer jam jars. I know Wal-mart and, I think, Acme has them. I hope to get some this week for freezer cherry jelly. Jenny, where did the strawberry bag come from? I would really like to get one. Oops, I feel like an a$$. I really should read the posts in order. 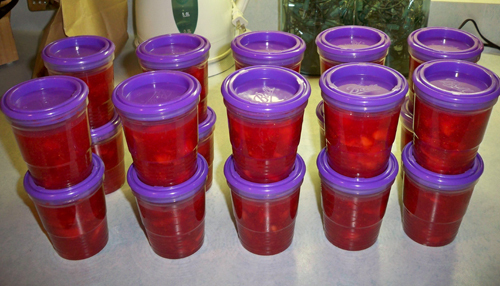 Yes, these are plastic jars made by Ball just for freezer jam. 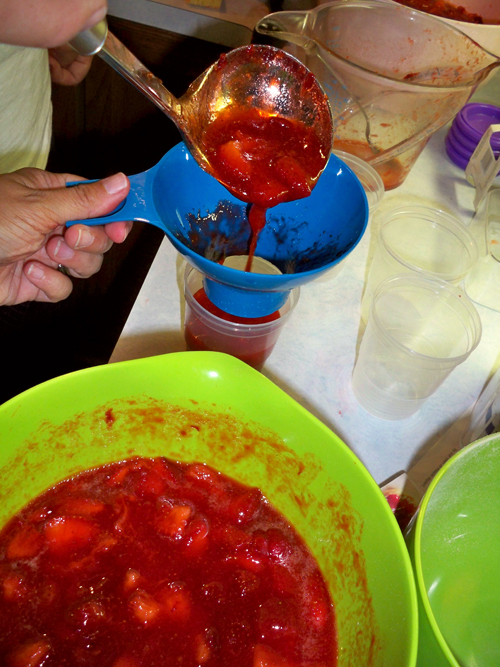 I love making strawberry freezer jam, you don't even have to cook it. You just have to make sure you get the Ball Freezer Jam Pectin which is different than the regular jam pectin. It's sooooo easy. Rita - so you saw that it's not a bag but one of my handmade dish towels?